Eve seems to be recovering from her battle. Unfortunately I was outside the country when the takeover took place 4 weeks ago. 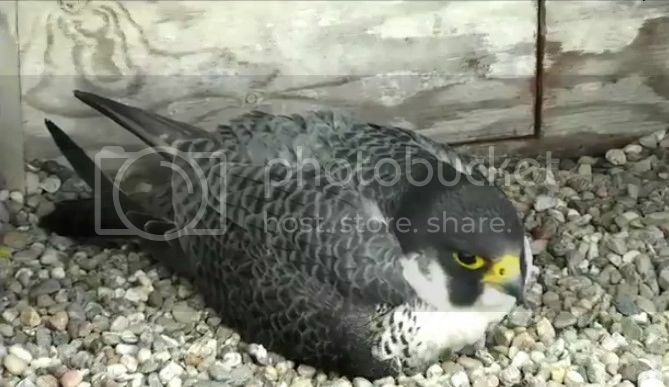 By reading the various reports here and on the Facebook page I got the feeling that only Eole was brooding (I did not watch all the videos however). It turns out that this is not completely true. 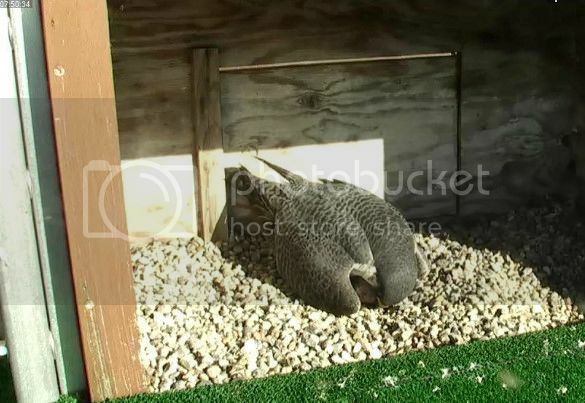 It is well known that the female often stands over the eggs or moves them but on some rare occasions she really sat on the eggs during several minutes. 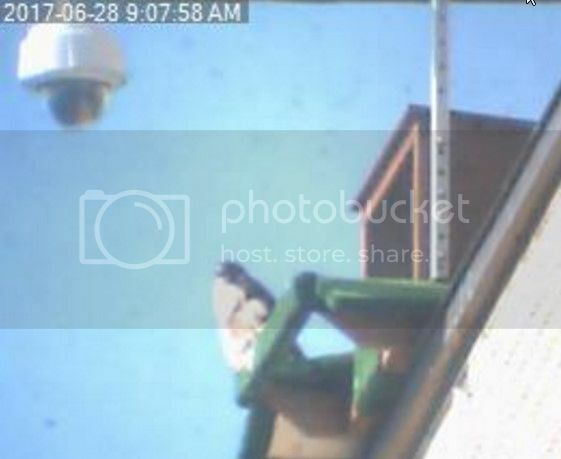 I observed this live on the camera on June 30 from 12h53 to 13h03. According to the archive a similar event might have happened on July 1 from 8h40 to 8h47. I still have to browse a lot of archive so there might be more. In particular it is unclear if it is something recent or not. Did you notice that before? 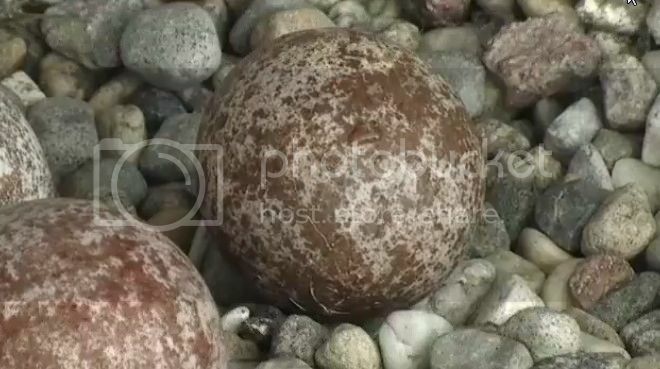 I am surprised by this behavior because first it is not her eggs, and secondly I would have tought that a female is able to feel that the eggs are not viable anymore. 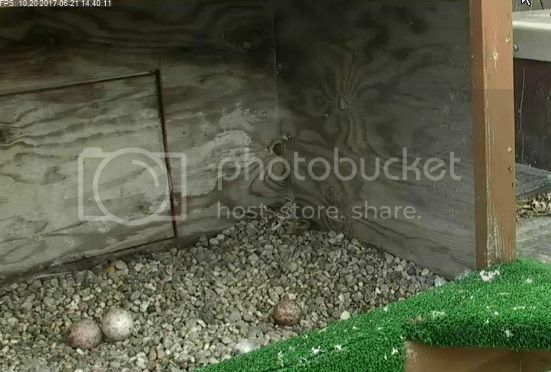 Maybe this has nothing to do with the eggs: she just wanted to rest and it turned out that the eggs were there. I would be curious to know what others think about that. Just checked the archive pictures. 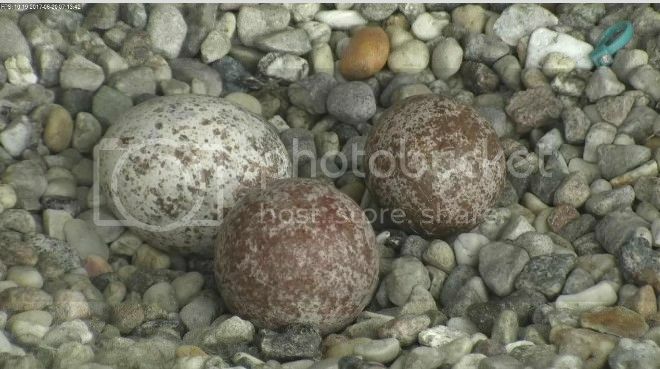 Looks like at some point this morning around 10:00 am, the eggs were removed from the nest. I'm glad, it was heartbreaking to see Dad so determined and attentive. 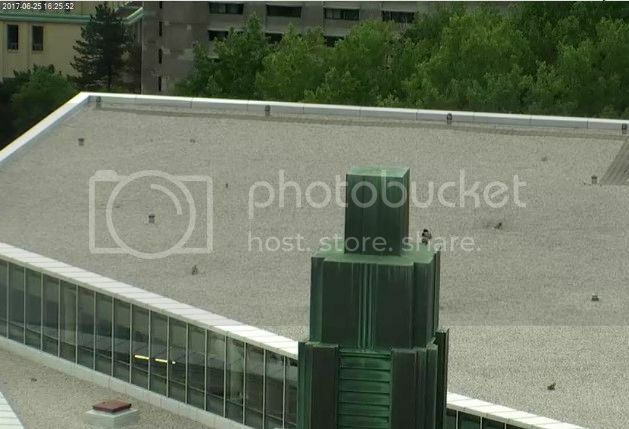 According to this Facebook publication, the remains of a young peregrine falcon from this year have been found on the roof of a building of the campus in the morning of July, 12. Here is a photo that appears to show the remains. The remains were identified by Dr Guy Fitzgerald who is the head of the raptor clinic (Clinique des oiseaux de proies). 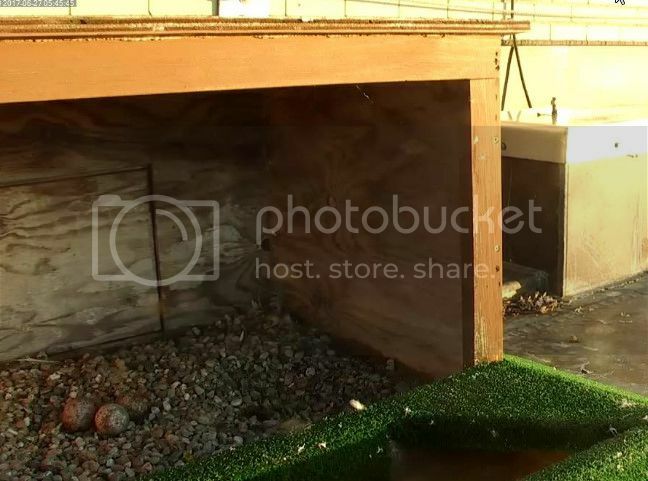 It seems that the remains were found on the roof after some remains were found on the soil. What follows are my remarks and my questions, that is, from an amateur, so do not hesitate to correct me if I you feel I am wrong! 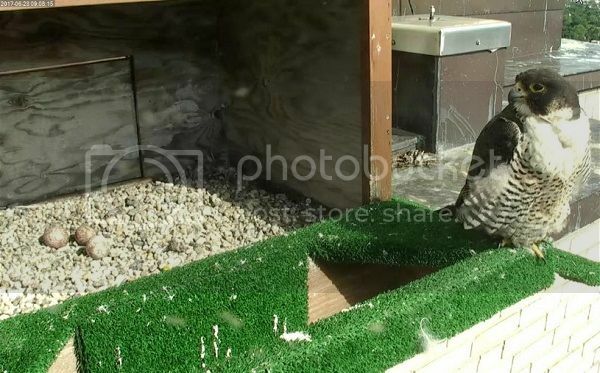 The facts that the remains have been found in several parts may suggest that the falcon body has been "cleaned", for example by a vulture (we often see a few of them on the campus), by a common raven or a crow. This in turn suggests that the body was not eaten by a raptor, at least not entirely. 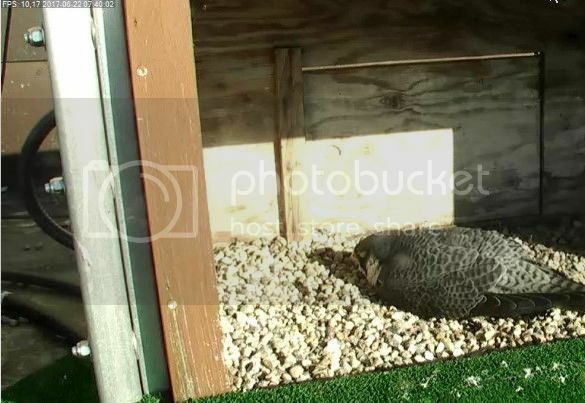 Of course it is difficult to not think to the couple of falcons as the cause of the death... 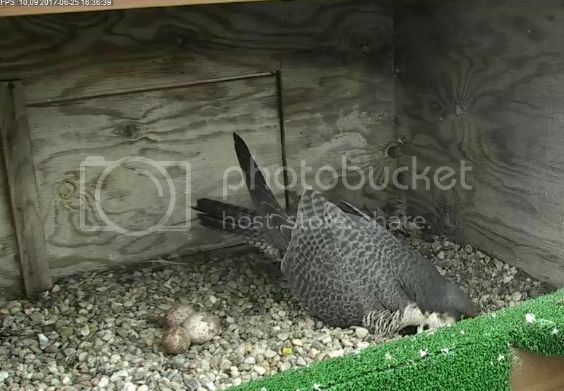 But why would they have downed this young peregrine? 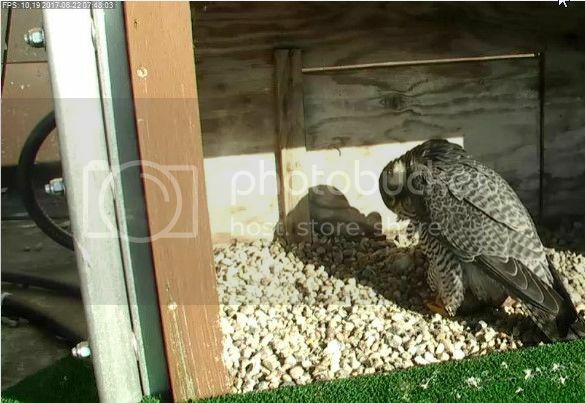 Two years ago, a young peregrine was released for adoption at about the same period (July, 8) and the operation was a success (it should be noted however that the couple of peregrine was completely different: it was composed by Spirit and Arthurin; also the couple had 3 youngs by its own). 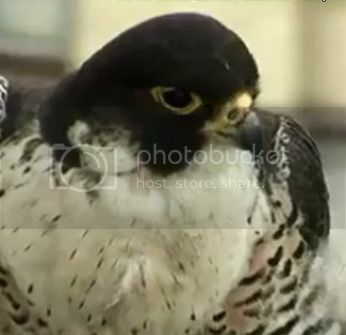 The death could also have nothing to do with the adult peregrines, for example a collision with a structure. 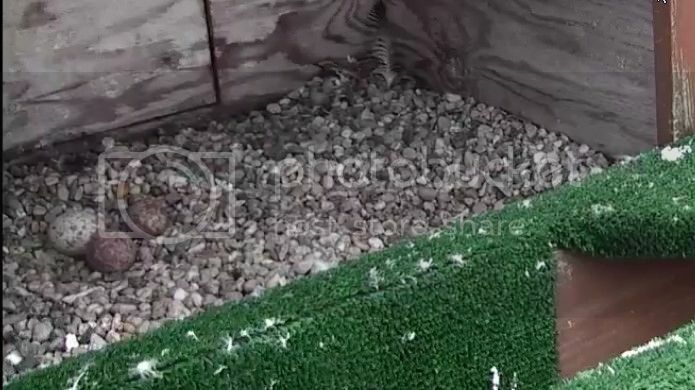 This would suggest that the young peregrine was flying low in the middle of a peregrine territory, which would not have been a good idea. 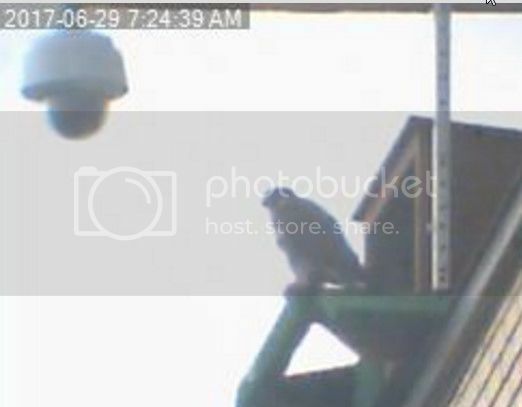 My recent observations show that the female is present most of the time on the tower. 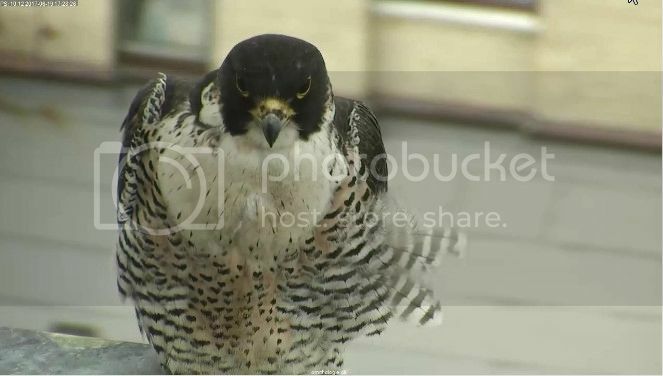 Could she have considered the young peregrine as a potentiel threat in the particular context of her recent fights with Spirit? Finally do you know about similar cases elsewhere? 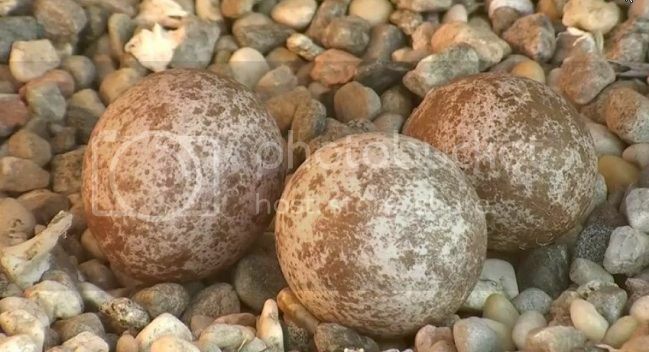 For completeness I also mention the other news of the same Facebook publication: all the 3 eggs turned out to be unfertile. 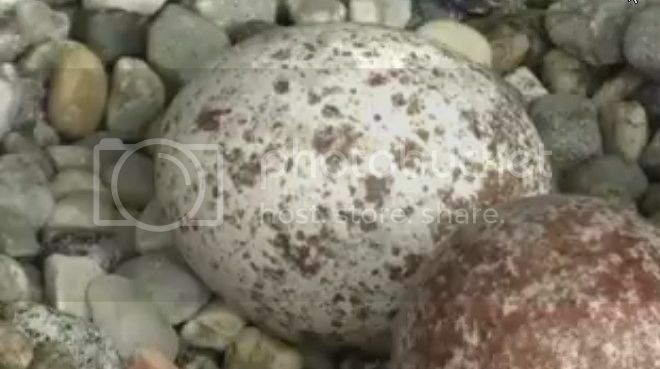 First, thanks to everyone for keeping tabs on this nest!! 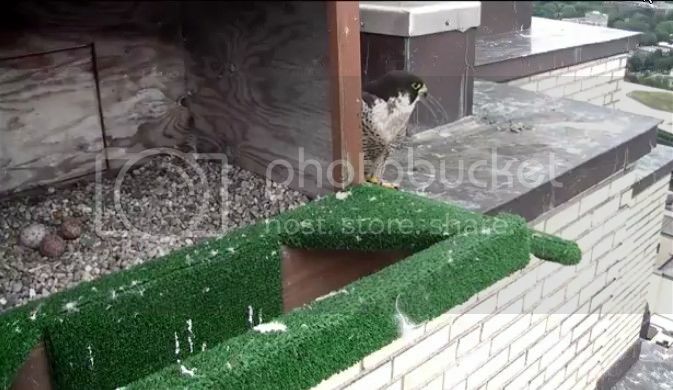 I just perused Montreal's FB page, and before seeing the info on the falcon that Sphinx talked about, I came across info on the eggs they retrieved. 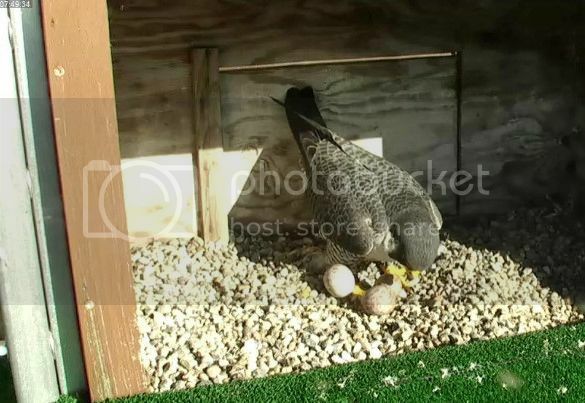 All 3 eggs were infertile!! 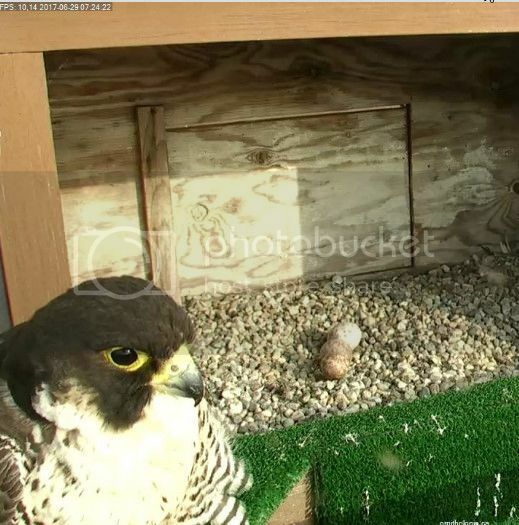 That was a surprise to me and I guess a blessing..
Now, back to your questions about the deceased hatch year falcon. I too am an amateur, so hopefully others will add their knowledge. I think most of us assume that newly fledged youngsters are given a pass by non-parental birds, but there is documentation that this isn't always true. 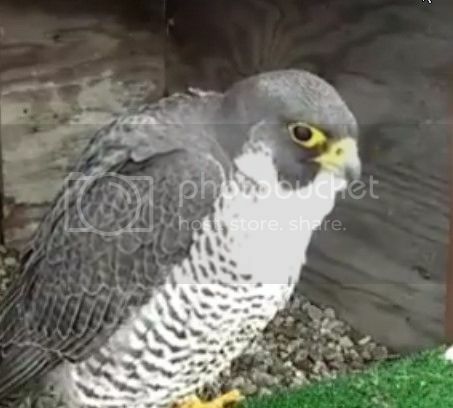 Last year at the Norwich, UK nest an intruder female managed to oust the resident female, either right before fledge or right after fledge (I'd have to go back and review that thread). Bottom line was that she harassed/attacked the newly fledged, inexperienced flyers to the point that it caused their deaths. One fledgling remained and wildlife authorities managed to catch that fledgling so that it would not fall to the same fate as its siblings. 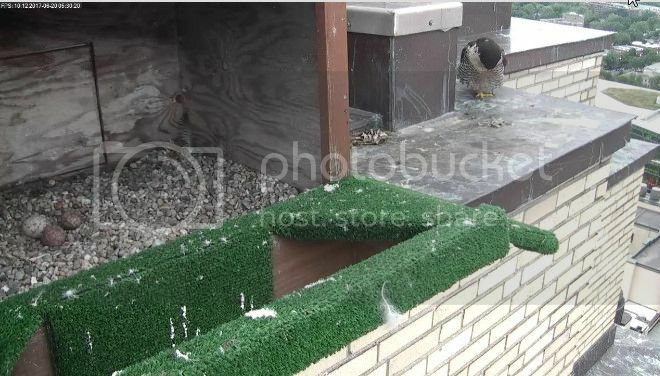 A similar situation occurred at a nest in Canada (can't remember which one) several years ago. 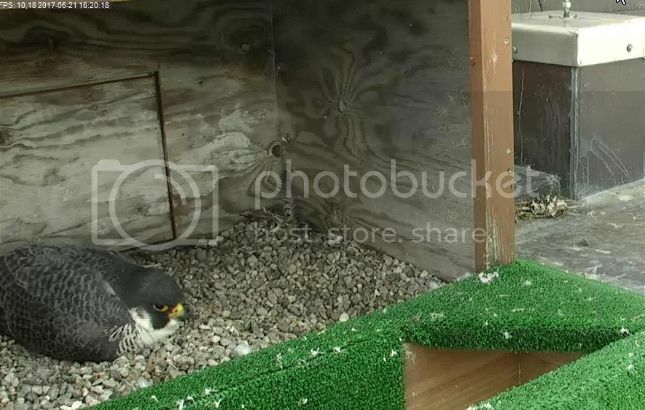 I can remember reading comments about "Dad" taking his daughter further from the nest because she was being constantly harassed by the new female. 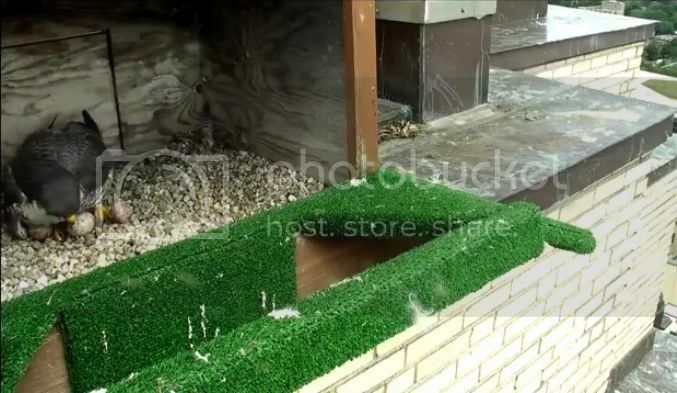 Anybody remember which nest that was? Without knowing more, my first guess would be that the death was caused by a dreaded building collision and the remains predated on by who knows what. Yes, I remember Tracy Simpson's touching description of the dad, Sante at Mississauga, lovingly guiding his young daughter to another building, away from the aggressive female who had already grounded his mate, Rogue. Thanks tsusan!! I could NOT remember which nest it was!! !